A four-piece rock band out of Buffalo has released a new track exclaiming their Buffalo pride. 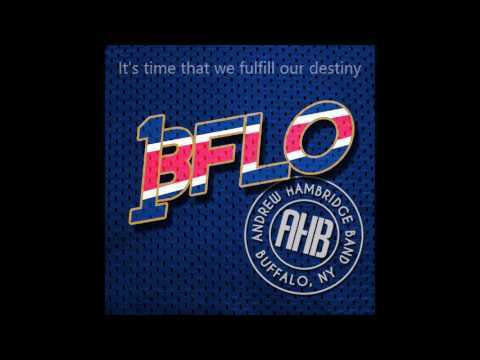 The Andrew Hambridge Band released the song, "One Buffalo" via a YouTube video on their Facebook page on Saturday. The video shows the lyrics while the song plays. The band, comprised of Andrew Hambridge on vocals and guitar, Paul Baumann on lead guitar, Tom Gallagher on Bass and Jeff Cronyn on Drums, says it got help on the track from "Nick at World of Noise Recording Studio," thanking him for his work on the track. Gallagher says the band has some shows in the works "for the first time in quite a while."